Effective contingency planning allows a project to reach success even if there are multiple threats and uncertainties that negatively affect the project and its outcomes. In this Project Contingency Plan Checklist you can learn key steps for developing a contingency plan for your project. Identify people involved in contingency planning. Define their roles and responsibilities. Establish staff training requirements (what kind of training is required for your project staff to carry out the process effectively). Develop exercise and testing schedules that explain how to test your project against risks and hazards. Plan a maintenance schedule that explores actions and their durations for managing project contingency. Define scope of your contingency plan (what’s in and out of the policy). Develop a contingency policy that defines who is involved in the process, what resources and training are required, what maintenance actions are necessary to keep project contingency running effectively. Be sure your policy complies with legal and regulatory requirements of your organization. 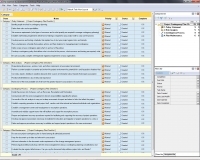 Characterize all processes, systems, tools, and other components of your project environment. Perform a context analysis to examine and review the project environment for potential risks and hazardous situations that may have a negative impact to the project or its content. Use status reports, feedback, baseline data and other sources of information about hazards that impact your project. Prioritize all identified risks by severity and importance. Make a list of the most probable risks that have the greatest impact to your project or its outcome. Divide the process into 3 phases, such as Recovery, Resumption and Restoration. Communicate with the senior management to discern responsibilities regarding the phases. Use results of the risk analysis to carry out a deep assessment of impact and extent of risks that affect the project environment. Establish a reporting procedure to alert project staff, vendors and other internal and external individuals and organizations about status of the contingency process. Establish a management center and headquarters for resumption operations. Assemble and mobilize support teams that will facilitate and support the resumption process. Prepare and implement recovery procedures required for facilitating and supporting the recovery of project operations. Develop and approve procedures necessary to facilitate the relocation and migration of project operations to a new or repaired environment. Define and approve procedures necessary to mobilize and support project operations in the new environment. Be sure your project contingency plan is shared among all authorized personnel. Keep the document up-to-date and relevant to your project. 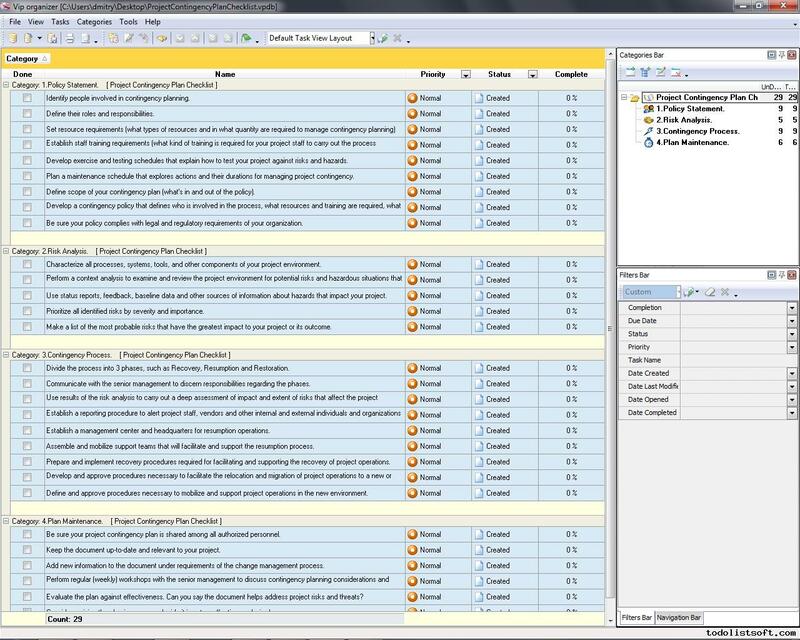 Add new information to the document under requirements of the change management process.